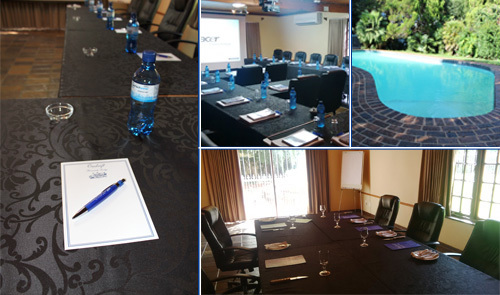 Located on the outskirts of Potchefstroom, we are ideally situated to offer your delegates that “away-from-the-office” feeling for productive meetings and workshops without the hassle of travelling too far out of town. 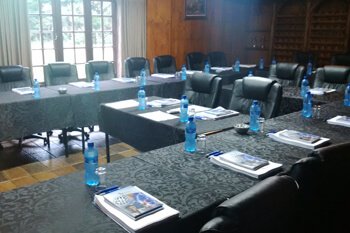 Our conference room can accommodate a maximum of 30 people. 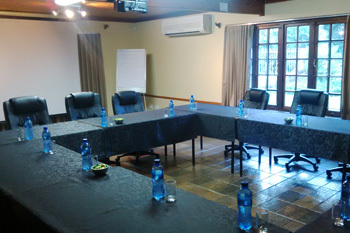 It is perfect for small sales conferences, executive board meetings and training groups. 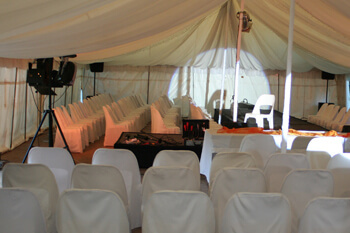 Our standard set up includes high back executive leather chairs and conference tables with black table cloths. The room also come with use of our data projector and screen at no additional cost. We offer customised quotations tailored to your specific needs, fully inclusive packages including all meals and accommodation are available. There is variety of tea breaks and lunch options to choose from and the space is also ideal for private dining and working lunches. Please see our packages tab for more info or contact our offices for assistance. 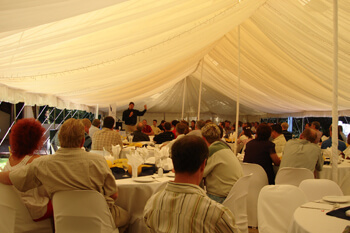 We can transform our versatile tent to accommodate group gatherings. We’ve done everything from beauty competitions to political rally’s and everything in between. Although the light makes it tricky, visual presentatiosn are possible during the day, but better suited to night time events. Discuss the options with our office in more detail. 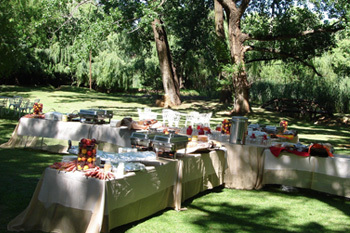 Our green setting lends itself perfect to eco-friendly meetings. This package has been designed to allow delegates to enjoy the fresh air and sunshine while minimizing their carbon footprint. 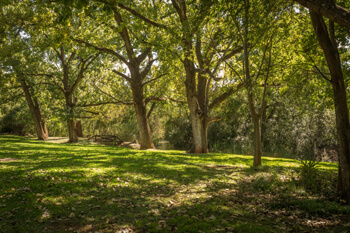 We consider the environment in all aspects of this conference and for the delegates, being outdoors feels less like work and really gets the creative juices flowing. The only limit on this type of workshop is your imagination. 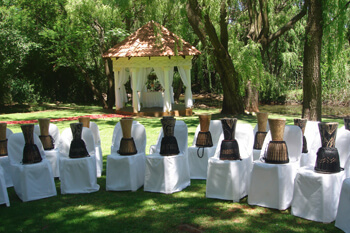 We’re open to all your “out of the box” ideas to make enviromentally-responsible use of our beautiful surroundings.